In some 17 years of following the race from afar, the 2018 edition wouldn’t rank in my top ten or fifteen. On the positive side there were some prominent highlights: a worthy winning team, a true test of endurance among the new LMP1 cars, some fascinating F1 visitors with very different approaches, a much better GT race than expected. And I once again enjoyed being a tiny part of the online endurance racing family. It’s the big one, the 24 Hours of Le Mans! Times are approximate and in British Summer Time. There are 60 cars with 180 drivers. 60 stories to follow. Three class races other than LMP1. Please do not belittle all of that just because the race for the win might be boring! It is easy to write a preview for the next big race, but actual journalists already do that. I thought instead I would write a guide for how to watch a 24 hour endurance race, such as Le Mans or Daytona or Spa, if you are watching from home. You can adapt this strategy for 12 or 10 hour races like Sebring or Petit Le Mans. Search for the website of the championship or event to find an Entry List, see if you can spot any drivers and teams you’ve heard about. This is your ‘in’, your way in to understanding the race. Check www.spotterguides.com to see if Andy Blackmore has drawn up the liveries for this race so you can spot the cars – and cross them off in marker pen when they retire. Have a look at some sports car news sites such as Racer.com, DailySportscar.com and Sportscar365.com, so you can see what’s been going on. Live timing helps a lot. TV graphics are okay, but they never show what you want when you want it. Live timing shows last lap time for each car and the gaps to the cars – so you can see who is gaining on the cars ahead and who is losing time. It shows the number of pit stops made, so you can work out strategy. It also shows the number of laps done by each car – in this type of racing the gaps can run to multiple laps. If a car falls behind you need to be able to see if it gets a lap back. When you learn how to read it you almost don’t even need the TV pictures, you can understand and enjoy it from the data feed alone – or data feed and radio coverage. It is important to find a commentary team providing detail to the level needed, without making it dry. The gold standard is RadioLeMans.com and IMSA Radio. Check to see whether these guys & girls are covering the race you’re watching. They do Le Mans, WEC, IMSA and more. Countless people watch whatever TV or streaming is provided, put it on mute, and listen to RLM instead. The Eurosport commentary at Le Mans can be good too, depending what shift it is. You could just flick on the TV if you like, dipping in and out, which is great if you just want to chill out watching some cool cars racing. And this is a great way to get a taste for this style of racing and just start absorbing who is who without pressure. But you won’t necessarily understand what’s going on with strategy. Many more dedicated endurance fans have three or four or more screens. These are showing dedicated onboard videos from their favourite cars. Some might have one tablet/laptop for timing, another for social media, another for omboard, another with a different onboard. Many fans then have tablets or laptops dedicated to running streams of onboard cameras, which are frequently provided free of charge or as part of a paid streaming service. This is an absolute luxury, though you do see some great car control and some incidents the main broadcast could never catch. Social media is important, too. I don’t mean just sitting there tweeting from your own account. Look up the championship account, look up your favourite team and driver accounts. Find other fans. Information comes through very quickly, faster than the broadcasts. Some say sports car racing is boring. At first it looks like cars going round and round, hour after hour. And on the face of it, it is! Then you think about it. At Le Mans you have 60 cars, 3 per car makes 180 drivers. At Daytona some cars have 5 drivers. At Nurburgring there are 150 cars on a 14 mile track. Add in those team bosses and engineers who have become well-known. Different combinations of teams, chassis, engines and tyres. Different classes of car in each race. Each class with a different rule set, which may differ between championships. Every one of those people has a story to tell, every team has a history. It is totally overwhelming. It takes years to learn who they are. It is not possible to follow all of it in real time. [Unless you are Paul Truswell.] The nature of this racing means information doesn’t come to light for half an hour or an hour. Or lots of things happen at once. To manage this, break it into chunks. Just pick your favourites in each class. And pick the likely winners in each class. Or those whose stories you like. Focus on following those on the screens and on the live timing. Everything else will flow from there. You’ll pick up everything else you need to know as you go along. Often you get close racing, often there are long periods where are you waiting for it to play out. A strategy call might be made at 6pm, you may not see the payoff until 11pm, when all of a sudden that 6pm decision to triple-stint every driver puts a car into the lead. Be patient, but also pay attention. A great tip is to eat small, eat often. Do stick to your meal times but make it a moderate or small meal. Don’t have a great big meal, it’ll just make you sleepy. It can be fun to gorge on a Chinese takeaway or a big pizza just as you would on a film night, but if you plan to follow the race all night long – or have just a small sleep to resume in the early hours- this is the worst thing to do. Over-eating means you sleep for hours. Get a supply of snacks. Nuts, fruit, chocolate. Mix it up. First it keeps your energy up, second it gets you up and walking around to the kitchen and back, and third it gives you a break from the screen and the concentration. And fruit is the best. No, seriously. A banana every few hours, or some grapes by your side, or even strawberries and raspberries with ice cream. You can try all the energy drinks and coffee and chocolate in the world – and I recommend having some – but nothing works better for me than the natural properties of fruit for a pick-me-up. Again don’t rely on it, it’s racing, have a bag of M&Ms too! Okay this is a tough one. Especially if you are like me and drink several cups of tea or coffee every day in the 9-to-5 at the office. Don’t have too much caffeine. Whether it is tea or energy drinks, just have one every few hours. All of these things work best when you don’t build a resistance to them by having them all the time. If your body is used to a lower level, when you do have one, you get a bigger kick. Instead, have plenty of bottled water nearby. It really does help. Use the caffeine drinks to give you a kick when you start to flag. But not with less than an hour to go, after all, you want to be able to sleep after the race. Get your tools – live timing, video streams, commentary, social media. Pick your faves and follow them, disregard others. I hope these tips help your experience with endurance racing and that you become a long-time fan! The FIA’s global sports car championship featuring the 24 Hours of Le Mans and a series of 6 hour races in Europe, Asia and the Americas. Although Le Mans is a WEC round, the race attracts many non-championship cars from series such as the IMSA Weathertech Championship, the European Le Mans Series and Asian Le Mans Series. These teams race for the win against the WEC teams but are ‘invisible’ when counting up WEC points. 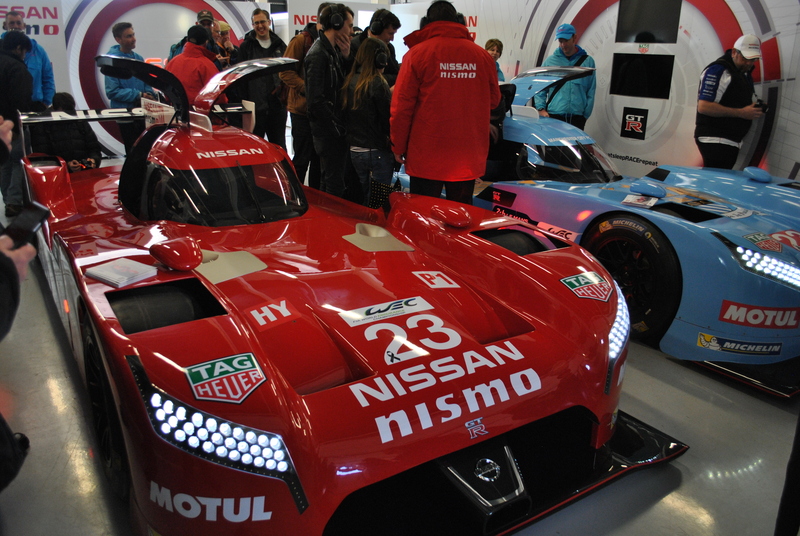 This season marks the transition to a winter start with the finale being Le Mans itself. To get there they have created the one-off “Super Season”, more details below. 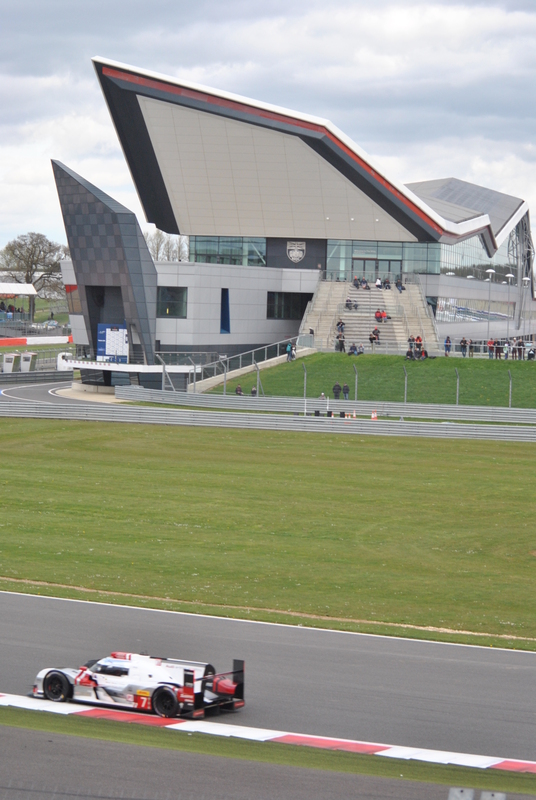 European continental series for LMP2, LMP3 and GTE cars in a short series of 4 hour races. LMP2 and GTE teams from the ELMS regularly join WEC & IMSA competitors at the 24 Hours of Le Mans. The series is supported by the Michelin Le Mans Cup, 2 hour races for LMP3 and GT3 cars. The next big event of the year is the pinnacle of sports car endurance racing, if by prestige as much as anything else. If you can easily argue other races are tougher – N24, Bathurst, Sebring – it is Le Mans that remains the top prize. We may not have Audi but we have five factory LMP1 cars and no team orders. 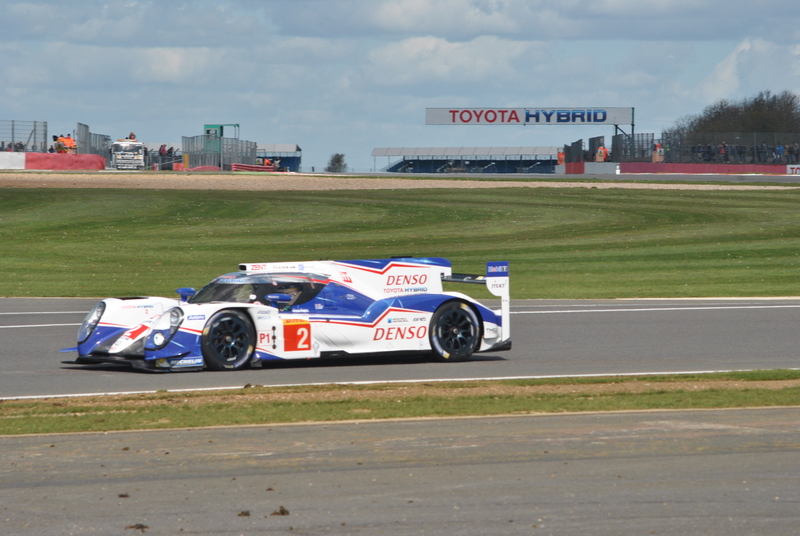 Toyota are bringing a 3rd car to avenge defeat last year – you don’t want to miss that, do you? We have new, fast LMP2 cars. And all out war in the two GTE classes. I also recommend recording the two Road To Le Mans races, one is on Thursday at 4.30pm and the other is Saturday at 10.30am. These are races for LMP3 and GT3 cars and were good fun last year. The ACO seem to be pushing to broaden the appeal of Le Mans, with a Free-to-air deal in France and now two FTA channels in the UK covering at least some hours of the race! How do you follow the 24 Hours of Le Mans if you are in the UK? There are a few different ways of following it: Radio Le Mans, Eurosport, Quest, ITV4, the App. Radio Le Mans will be live as always at www.radiolemans.com and on Tune In Radio, as well as on 91.2 FM at the track if you do go to Le Mans, supported by Mobil 1 and Esso. They will have every 24 Hour session live (practice, qualifying, warm-up, race). I expect they’ll cover the Road To Le Mans support races too and quite probably the Porsches too. Commentary will be from Jonny Palmer, John Hindhaugh, channel newcomer Ben Constanduros, experts Graham Goodwin and Sam Collins, pit reporters Shea Adam, Joe Bradley, Bruce Jones and Owen Mildenhall – and of course the perpetual Paul Truswell on timing & scoring. Sadly no Jim Roller this year though I’m looking forward to Ben Consty’s input. And if you miss anything it’ll all be uploaded as podcasts! The podcast page is right here and includes previews for each category should you get the time before the race. Excellent news that Quest TV will once again air snippets LIVE through the race. Coverage includes Lou Goodman, Diana Binks and Andy Jaye. Brilliant news – ITV4 will ensure there is live free-to-air coverage of the last 4.5 hours of the race! And if you are a die-hard fan or just want to dip in and out at your leisure, the race will be live in full on Eurosport 1. If you remember the days of swapping between Eurosport 1 and Eurosport 2 – those days are gone! This year’s commentary team includes Martin Haven, Marc Cole, Carlton Kirby, Chris Parsons and David Addison. Addison is new to the team, you’ll know him from BTCC and Blancpain GT, he seems to be in place of Jeremy Shaw who is not listed this year. Analysts include racers Damien Faulkner, Liz Halliday and Sam Hancock. Don’t knock their coverage – many die-hard RLM fans stick with it but I tend to have an ear on both broadcasts, particularly when Haven is on Eurosport. They’ll show every 24 Hour session live as well as the Porsche Cup and possible the Road To Le Mans. 3pm – 7.10pm This slot appears to be Porsche Cup practice then Road To Le Mans Race 1 at 4.30pm. The Eurosport Player app (on tablet and via website) will stream the race live, including a commentary & advert free option showing the race continuously. It may also have onboard feeds. This is ideal if, for example, you wanted pictures to put up alongside Radio Le Mans! On the Apple and Google stores – or via here – there is a 24h Le Mans app. This is the same as the FIA WEC app, so if you have the WEC app already you just need to update it and be sure you have the right subscription. Health warning: for the Spa 6 Hours this app subscription wasn’t working properly. It is not the most reliable thing I’ve ever seen, which is ironic, given the setting. They’ll have the ‘World Feed’ TV team including Toby Moody and Allan McNish plus live timing and information. It should also have a choice of onboard streams and usually there’s a French language option. – the superior Andy Blackmore guide supported by Dunlop. I notice Andy had to change his design after the ACO ‘borrowed’ his ideas. I’d go with Andy’s if I were you. Hello. This is the last of my Class Previews and I saved the top one until last – the battle for the overall win. Last year’s race was unbelievable, this year’s promises to be just as good! The form book suggests a head-to-head between two German heavyweights.. but Le Mans has no respect for form. Once again the usual disclaimer, this is a fan blog and these are just my impressions having seen the first few races but without having yet read or listened to any previews. Le Mans Prototype cars with professional drivers. This top class is the Big Dog, this will decide the overall winner of the 24 Hours of Le Mans. A car from another class could win outright, but LMP1 cars are so much faster it’ll take something major to rule them out. With lap times not far off F1 cars and top speeds on the Mulsanne probably higher than them, these are serious machines. LMP1 today is the opposite of the endurance perception: now they are full attack, with little to no fuel saving, on full grip tyres. Basically a sprint race that lasts a long time! They do this with more advanced hybrid systems, of a completely different design from each manufacturer – true competition! – with more power than last year and more than F1. I am a life-long F1 fan but this is remarkable technology which makes F1’s new kit look out-dated. Two privateer entrants carry the flag for the independents and long may they continue to do so. LMP1 must always have independents. Though neither team runs those crucial hybrid systems which make such a difference. All cars in the class run on Michelins. WEC note: Le Mans counts for WEC double-points but only among entrants registered for the WEC. Non-registered cars are ignored for points purposes. 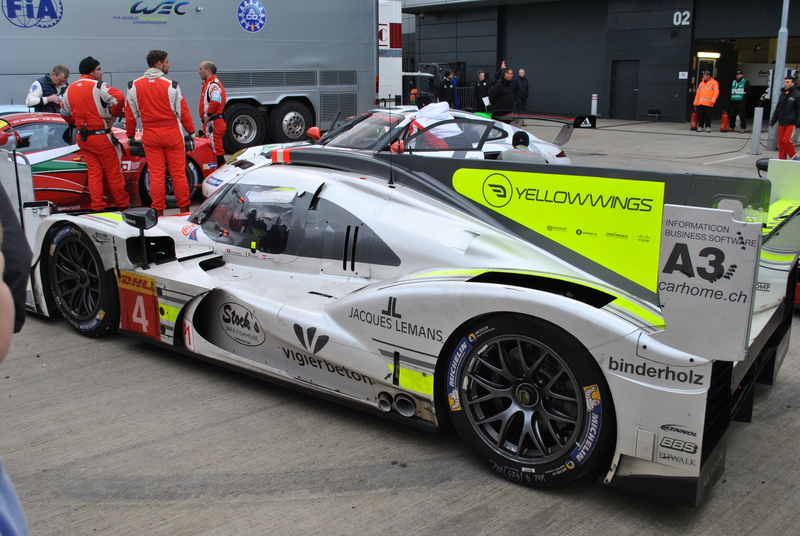 WEC-registered cars are marked with ( W ) after their name. An immensely tricky choice. This year all three Audis and all three Porsches can be considered almost equally likely to win. Should they falter, the two Toyotas will be right there. I’ve chosen this car for two reasons: Firstly, Joest Audi just knows how to win this race. Secondly, Porsche are faster over a lap but the #7 Audi has beaten them in the opening two rounds of this year’s WEC already. A few years ago, the likes of Kristensen, McNish and Capello were considered greats even when they were still racing. I consider Fassler/Lotterer/Treluyer to be their equals. I don’t know why they aren’t seen that way by others, yet for some reason they haven’t yet reached the same level in the public conciousness. They’ve won Le Mans in 2011, 2012 and 2014 and finished 2nd in 2010! You cannot argue that success rate. They have already etched their name into Le Mans history. I said Audi would have the advantage over the race.. but I think they’ll only get one car ahead of the Porsches. My podium prediction is Audi-Porsche-Porsche and I think Porsche will hold the lead for much of the race. They’ll claim pole and I think it’ll be a clear 1-2-3 in qualifying! Those 919s are fast. How reliable are they? How many stints on tyres can they do? Will any of the guys make unforced errors? #18 is the stronger car. The trio seem to have found the sweet spot with the car and they took 2nd in the first two WEC races. #17 isn’t far off but it feels trouble attracts it, or vice versa! Yet when your weakest driver is of the calibre of Mark Webber you know you have a strong team. #19 isn’t registered for WEC points so there’s a choice: run it as a safe backup behind the other two, or run it at the level of the opposition as a spoiler to get in the way, or run it fast as a hare and chase off into the distance to fool the other teams into chasing after it (and hope they break down in the process)? After so many years together in so many cars in so many races, I still find it odd that Dumas and Bernhard aren’t sharing a car. We already know the talents of Duval and di Grassi, we’re quickly learning Jarvis deserves his place among them. 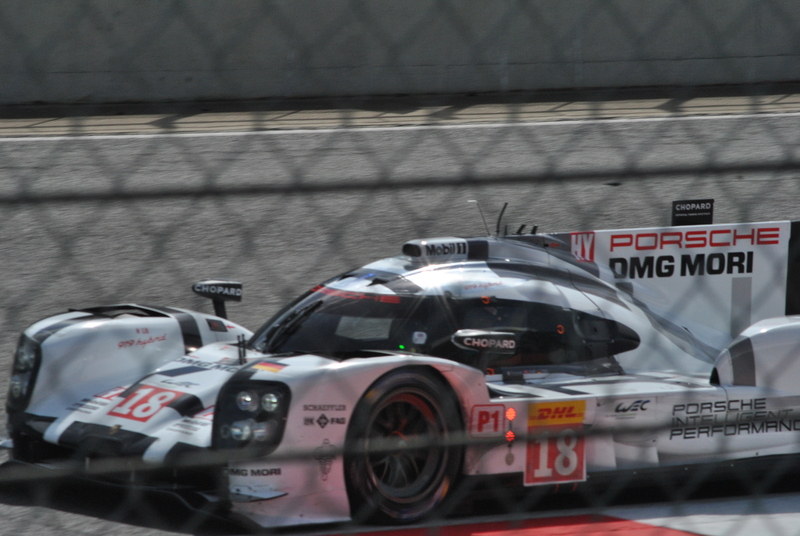 The non-points #9 car is in the same position as Porsche’s #19. We already know Audi typically let their three cars fight for the win. Points be damned, Le Mans is Le Mans. The trio in the #9 are as good as those in #8. Rene Rast is very fast. Can they go as far on fuel as the Porsches? Indeed, if they can outperform them on tyres does the fuel matter? Questions, questions! The six cars of Audi and Porsche should be fighting all race long! The 2014 Champions aren’t having such a good 2015, unfortunately the pace just doesn’t seem to be in the car. More accurately, the pace is definitely still there and the car is faster than last year, what’s happened is Audi and Porsche jumped ahead. Toyota know what they are doing and so do all the drivers, every one of them top drawer, no weak link here. But they’ll have to run reliability – no mistakes, no failures – and take advantage of any problems others may have. If they do this they can score a podium – or win if the others break down, which they really might. An slightly outside bet then, but a serious one. If the Porsches and Audis have even the tiniest problem the Toyotas will be through. Tricky. They are confident and the fans are with them. And yet… And yet. This confidence is based on what the car WILL do once it is fully developed. In 2016. Right now though, it is only halfway there. It is in no position to win this race on pace alone. As for reliability and fuel numbers, well they haven’t raced it yet, so nobody knows! Full credit for exploiting the rules to create such a unique car. It takes the lessons of the Delta Wing and mates them to the LMP1 regulations. At the Test Day it was clearly the fastest in a straight line, even though the lap times weren’t there at all. It was only a test though. The team didn’t enter the opening two races, is reportedly running on only one of the two hybrid systems, and they haven’t actually raced as a unit yet. They have less of a budget than the other manufacturers. Add in the difficulty in making a novel design actually work, it wouldn’t surprise me if the thing was totally unreliable at this first attempt. No surprise to read Tincknell is focussing on getting the car to the finish, above all else. What’s a realistic objective? Get one car to the finish in the top 12. Porsche finished 11th on their return just twelve months ago, behind 6 LMP2 cars, now look where they are. If Nissan can finish top 12 overall, or complete a similar number of laps to the top 6 in LMP2, I’d call that a successful return in Year 1. Year 2 is when the fun will happen. No surprise that #23 (‘Ni San’ in Japanese) has the higher profile drivers. Pla is stellar, Mardenborough ridiculously quick, Chilton the steady hand on the tiller. #22 isn’t too shabby either – Tincknell is my local driver and was a hot shoe in LMP2 – and #21 is right up there in quality, especially Ordonez. The only one I don’t know is Matsuda. An aggressive line up across all three cars, despite their youth many already have Le Mans experience. They know exactly where they are. That is why they are being so open with the fans, with social media and PR events, open about the car, all the open access. That’ll change next year if and when they become competitive. The walls will close in, expect it. Still, none of the other teams let us in on their development cycle! Rebellion were forced to skip Silverstone and Spa while they sorted out installations issues with the new AER engines after a late choice to swap from Toyota (not the works Toyota engines, something else). I like the way they go racing so I hope the delay won’t impact their reliability. They need a good solid run to take advantage of the reliability troubles that’ll surely hit the hybrid runners, just as they did last year which netted them 4th place! So: same again please, just slightly faster! That’s why they put in the AER which is so fast in the CLM. The solid #12 drivers return and will surely be their lead charge. In the #13 Leimer and Belicchi are out, and Imperatori and Abt are in. Imperatori was good for KCMG in the LMP2 class. This team is doing all of their development in public. In a difference to last year they do appear to be getting faster. The car is changing appearance. Quick in a straight line just not so good in the corners (good engine, bad chassis). 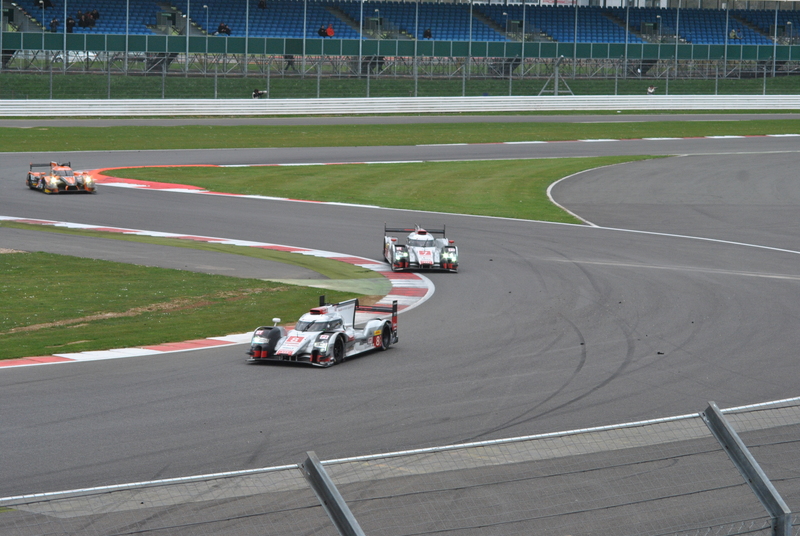 Over a lap the car does just about out-run the LMP2 cars but it still can’t run for very long. It was in and out of the pits at Silverstone and at Spa it only did 46 laps (the winner did 176 laps). This was the only privateer entrant at Silverstone and Spa so it was expected they’d build a big points gap over Rebellion – but failing to finish either round means they’ve failed to score. So excluding crashes from others I have every expectation this will be the first official retirement in any class. Klien and Liuzzi look to have been binned, which for their own careers is probably for the best.